Today is the last day of the Colleen Rothschild Discovery Collection sale! 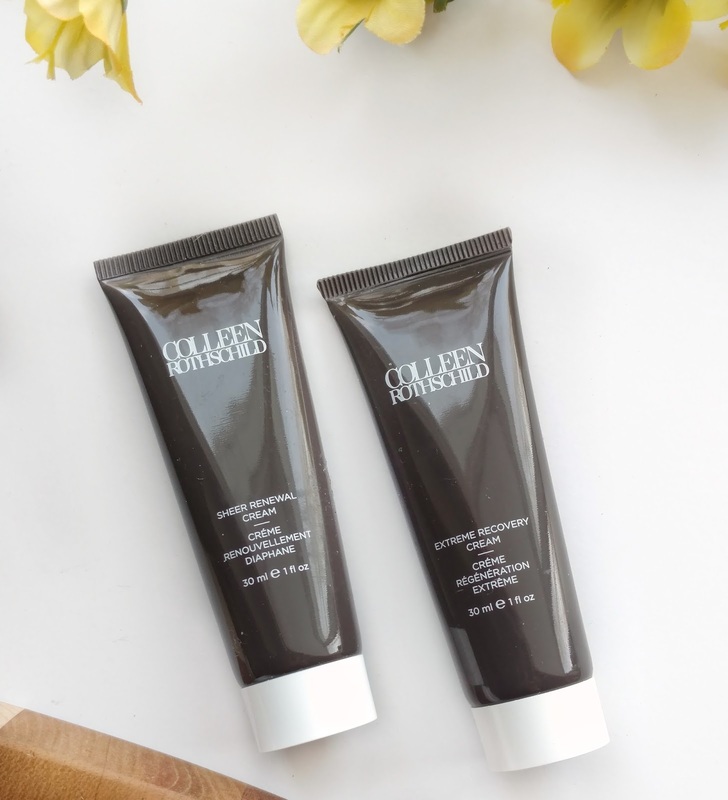 It's only $49 (regularly $95) and almost never goes on sale so if you've been wanting to try Colleen Rothschild, this is a great opportunity because you can sample 6 of her products all at once. The Radiant Cleansing Balm (with muslin cloth)...I use this balm almost every night and it's my favorite cleansing balm of all time! I have a few others in my medicine cabinet but I find that I really miss this one when I don't use it. It has a soothing, spa-like scent that puts me in a sleepy bedtime mood, and it melts all of my makeup away effortlessly. The best part is, my skin always looks brighter and clearer after using this. As long as you remove it with the muslin cloth that's included (rather than just water) you don't need to double cleanse afterward. Also included are the Clarifying Detox Mask (helps to unclog pores) and Dual Enzyme Polish (has both chemical and manual exfoliators for super smooth skin). 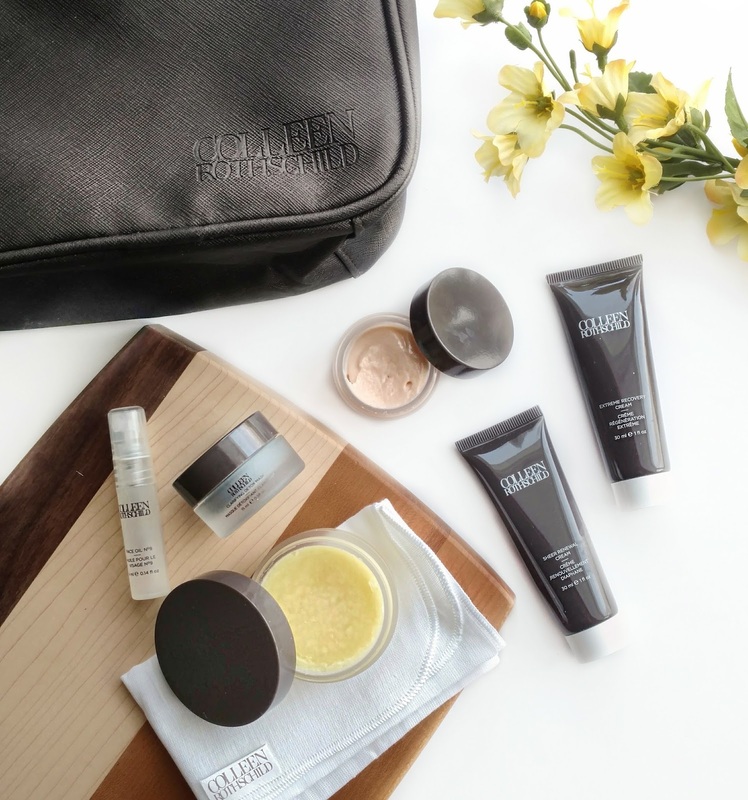 There are two moisturizers in the kit as well, and they're in generous, 1 oz. sizes that will last a long time! 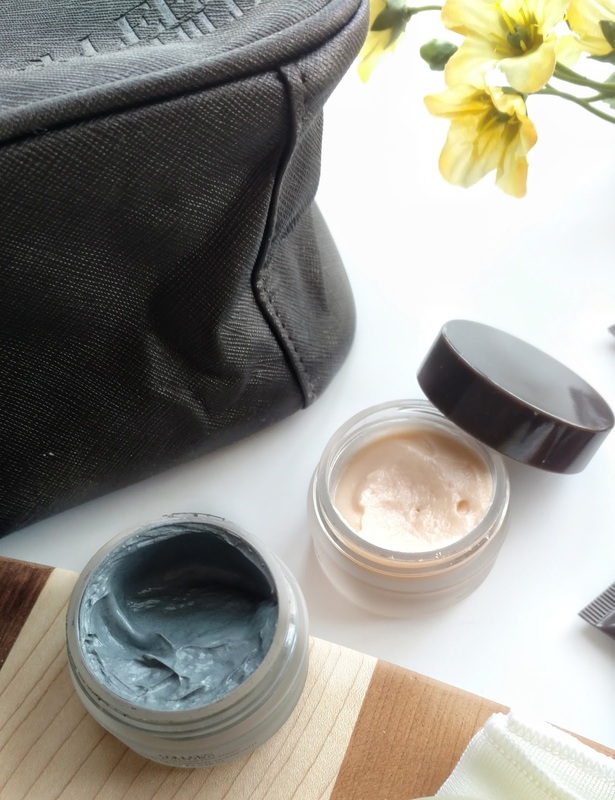 The Sheer Renewal Cream is my favorite daytime moisturizer...it mildly exfoliates for brighter skin and sinks in all the way with no greasy feel so it's amazing under makeup. The Extreme Recovery Cream is a thicker moisturizer that's great for wearing to bed...it makes my skin feel so soft in the morning. When my skin is extra dry, I layer the Face Oil No. 9 (a small vial is also included in this kit) over the Extreme Recovery Cream, which is an amazing combo! 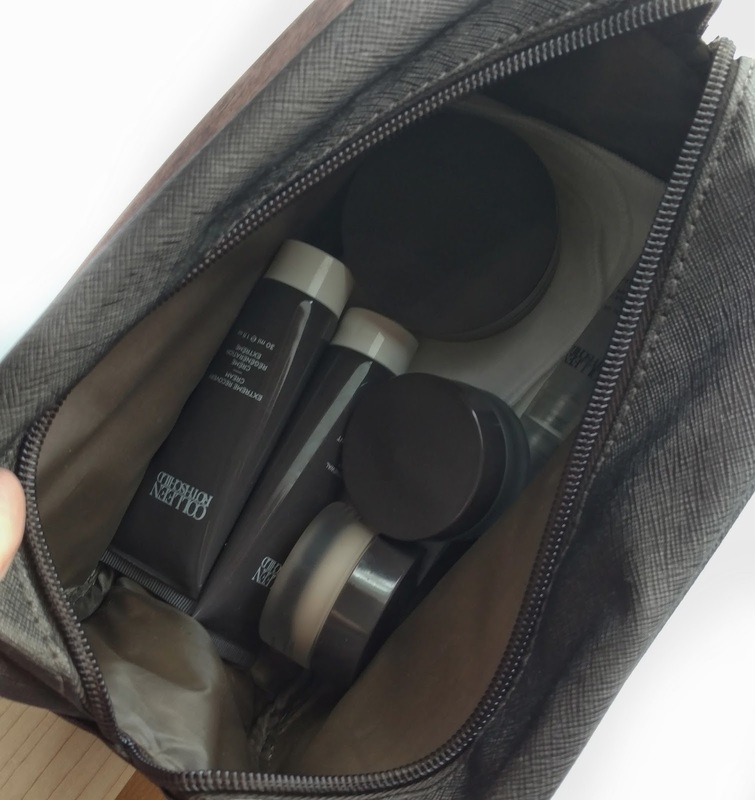 Everything comes in a really nice, high-quality travel bag and as you can see, there's lots of room inside even after all of the skincare is in there. When I travel, I can also fit my glasses, contacts, a small bottle of contact lens solution, and my toothbrush holder/little toothpaste in it as well. 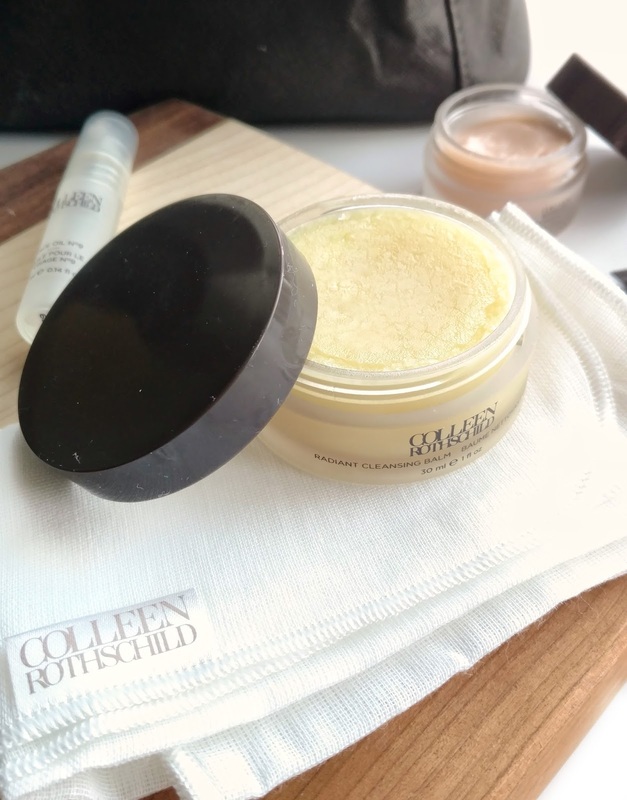 Colleen Rothschild has quickly become one of my favorite skincare brands (check out my reviews here) so I would definitely recommend this kit to anyone who is looking for a new skincare routine! I purchased this set and can't wait to get it!